Tutorials with working examples step-by-step through the fundamental and progresses to complex examples covering all the concepts. You Don't need to have Core java basic coding experience to start this course. We will cover from scratch. You will have instructor support to get solved all your queries. Best Selenium with Cucumber Online Training on Internet is organized by Anshul Chauhan. We provide most learning environment for major technical Selenium with Cucumber at affordable price. 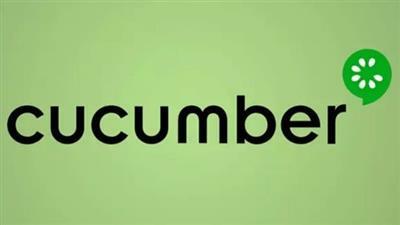 The best Selenium with Cucumber training on Internet offers the best technical IT training for the regarding Selenium with Cucumber. We provide basic and advanced level Selenium with Cucumber Training with proper practically knowledge. At here, Selenium with Cucumber Training is offered by industry experts having 8-10 Yrs. of experience. Behavior-driven development, acceptance testing, and test-driven development is one of the latest, most important trends in software delivery. Learn how to implement BDD Cucumber software delivery with Cucumber framework using Java, Selenium, and JUnit. Apply your knowledge to a real-world application. All the above topics are discussed from scratch level with lots of Practical examples for better understanding..